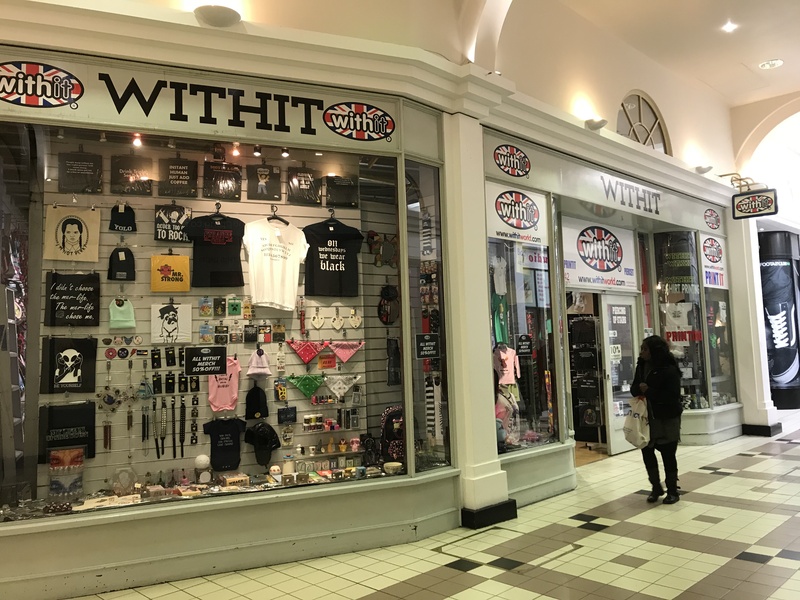 The unit is located within the covered mall, immediately adjacent to Wilkos and in close proximity to Kutchenhaus, The Works and Julian Charles. 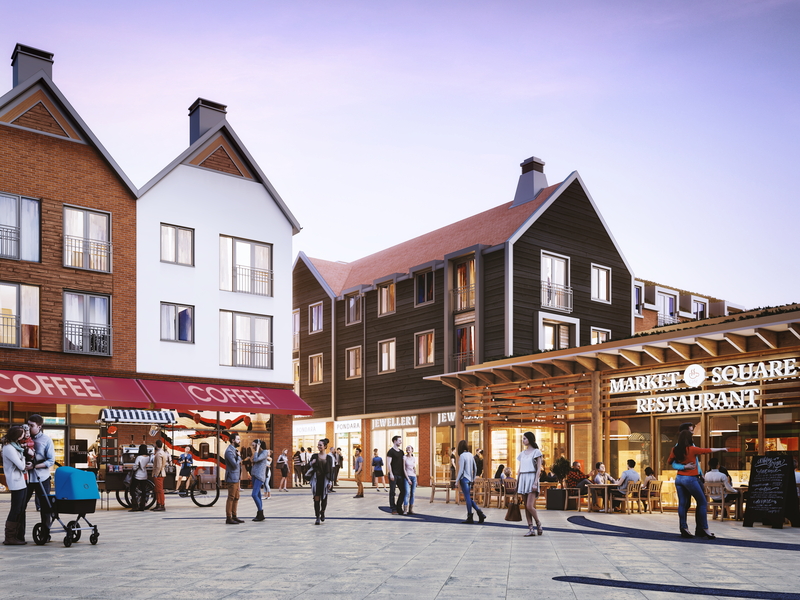 Brightwells Yard is a new exciting mixed-use scheme in the heart of Farnham with M&S Foodhall, Reel Cinema and Seasalt already committed. 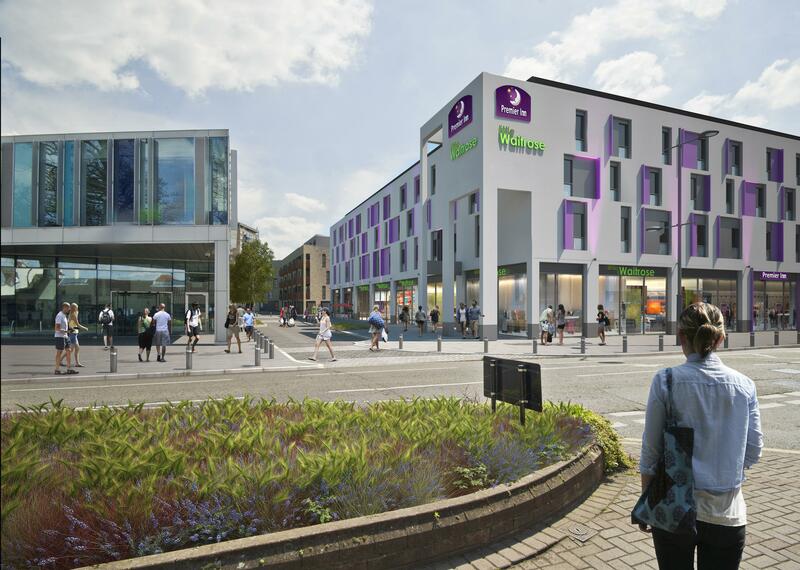 The vibrant development will breathe new life into the town centre with a total of 100,000 sq ft commercial space and 240 apartments with 400 car parking spaces set around a new market square and open space. It is scheduled to open early 2021. 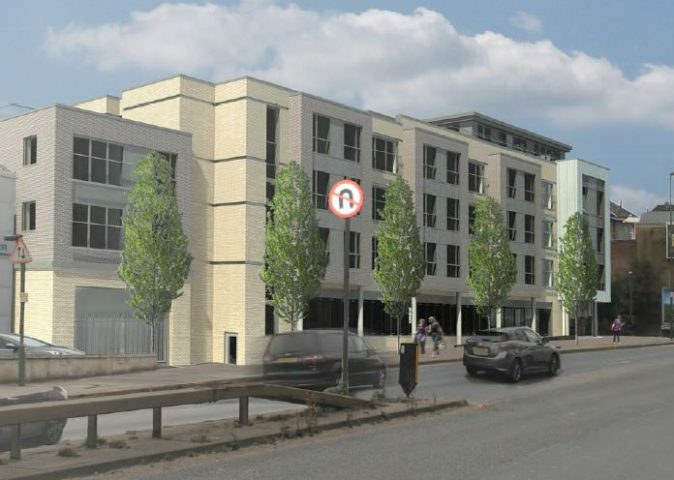 The subject property will be a part of a new residential-led redevelopment of 34 one and two-bedroom apartments and commercial at ground floor with practical completion due in Q2 2020. 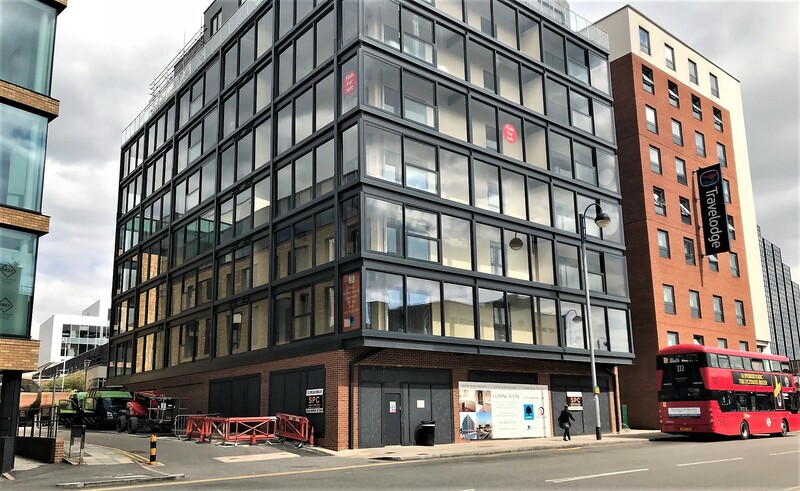 It is located at the junction of Holloway Head and Florence Street, close to The Mailbox and approximately 0.5 miles from New Street station. 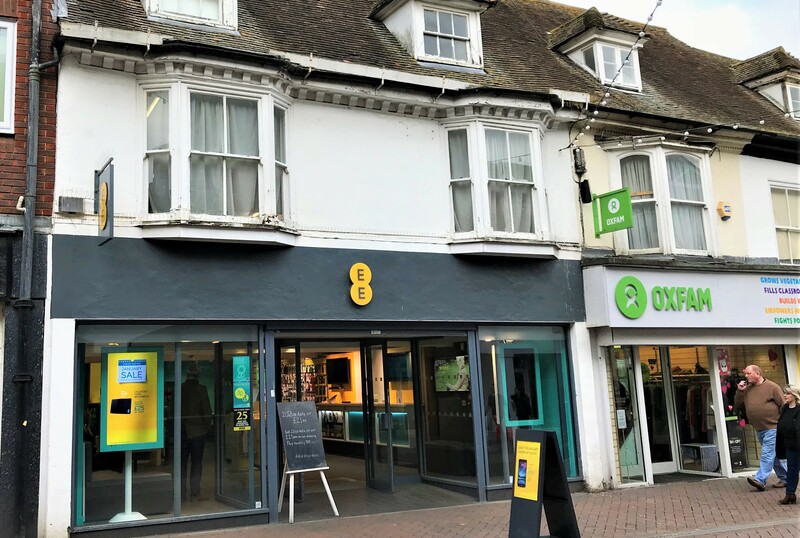 Highly commutable and surrounded by an affluent local demographic, Addlestone One is already home to Waitrose, Premier Inn and an Achieve Lifestyle gym. The development offers 213 residential units and over 350 car spaces. 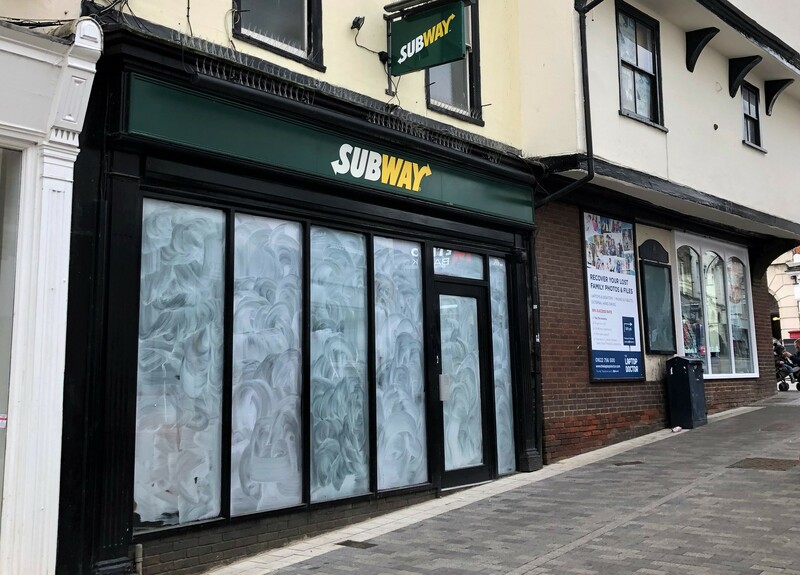 The subject unit is located on the northern end of the High Street in Ashford, opposite County Square Shopping Centre and in close proximity to Park Mall. Full address, floor areas, floor plans and property costs are available upon request – Named parties only. 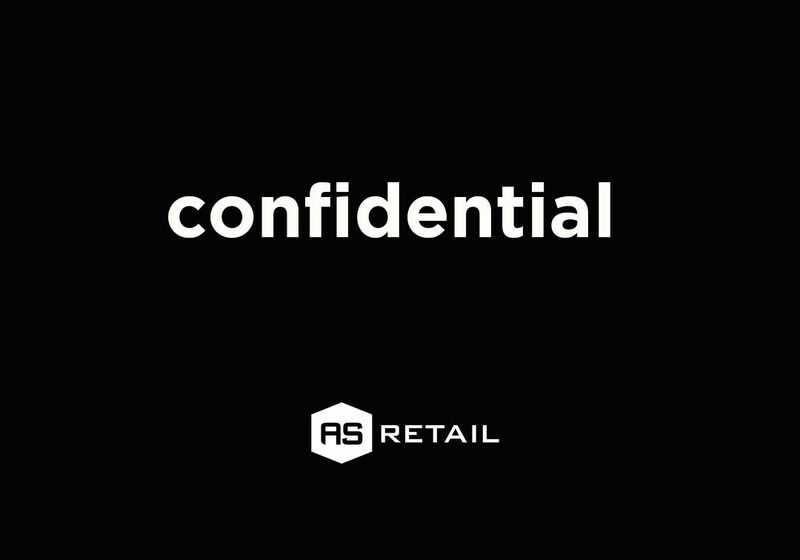 The property benefits from A3 planning consent and restaurant fixtures and fittings. 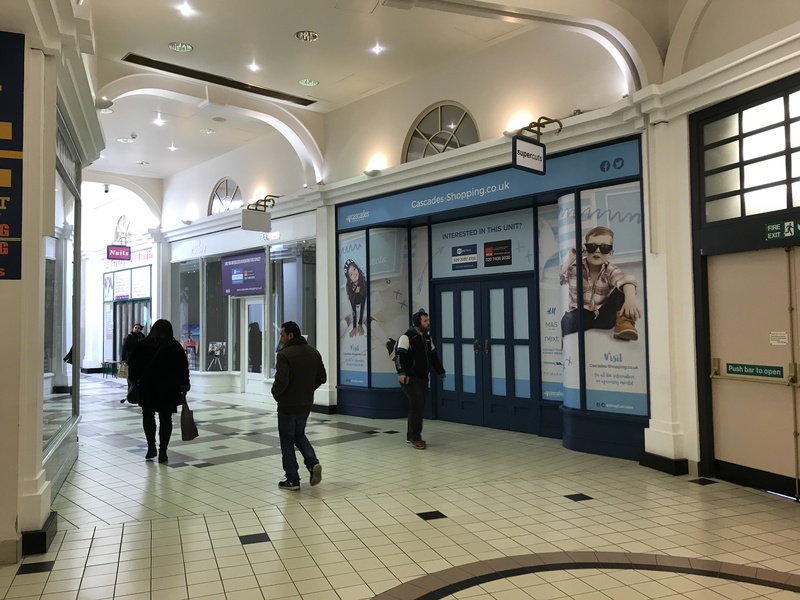 The Kiosks are to be created in a prominent position in the centre of the lower mall, below Caffè Nero and are immediately surrounded by a host of national retailers including H&M, Next, Pandora, TJ Hughes and The Entertainer. 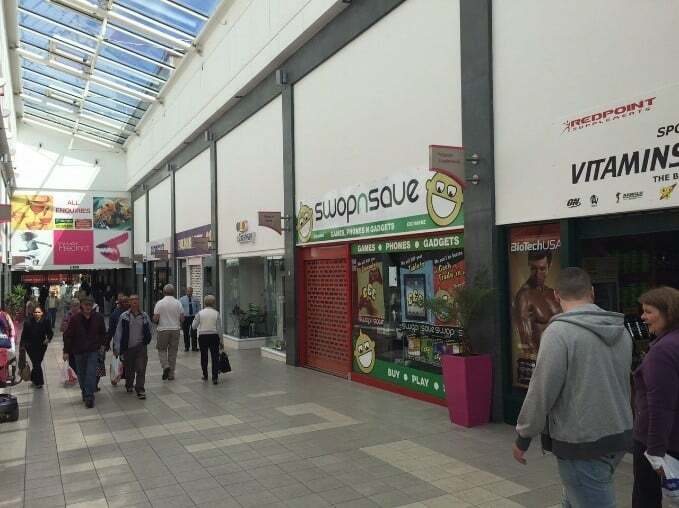 The premises sit in a prominent location within Sherbourne Arcade which acts as the link between Lower Precinct Shopping Centre and Coventry Market, adjacent to Next and Stacey’s Shabby Shack and opposite Home Bargains. 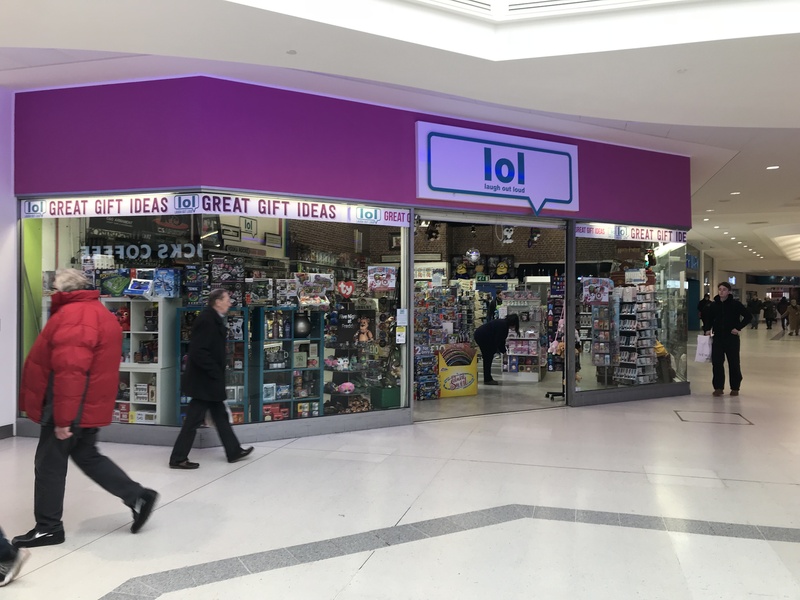 The premises sit on the lower level of the shopping centre within the popular Sherbourne Arcade one of the main thoroughfares to one of the UK’s leading indoor markets. 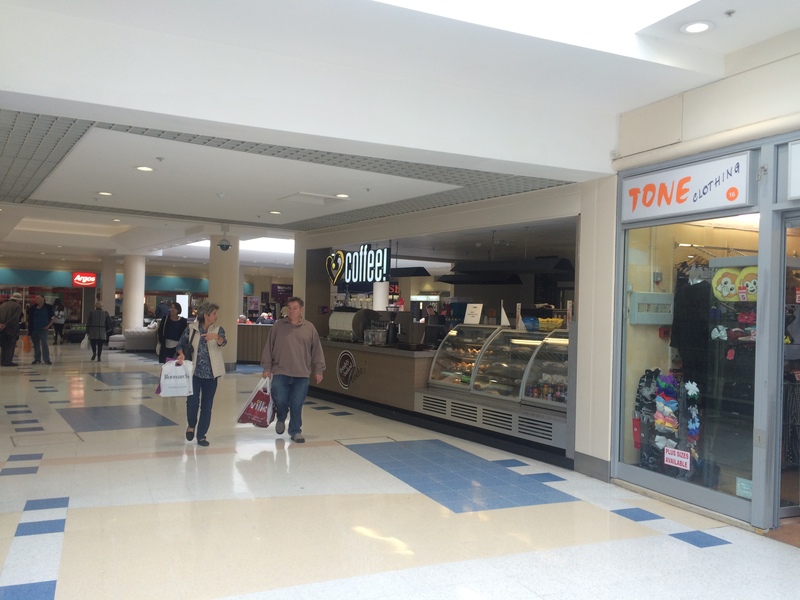 The unit sits in a prominent location within Lower Precinct Shopping Centre close to TJ Hughes and Pizza Hut. 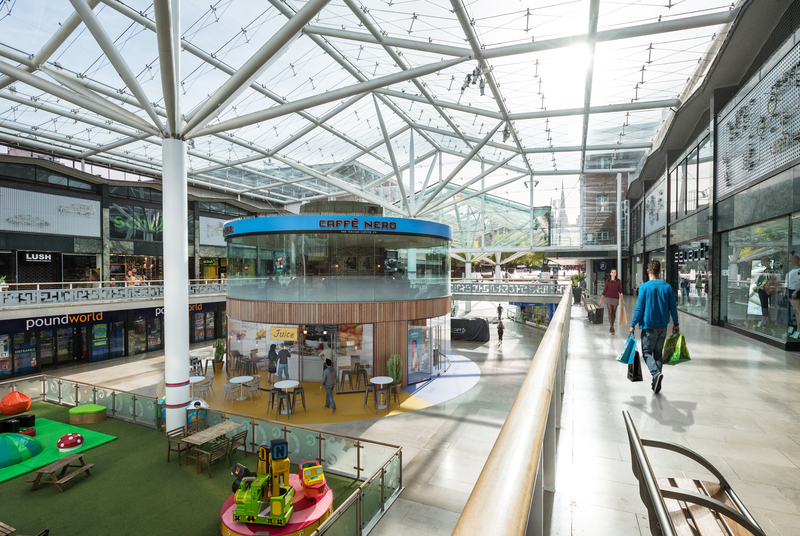 Other occupiers located with the centre include H&M, Next, New Look, Smiggle, Clarks and Flying Tiger. 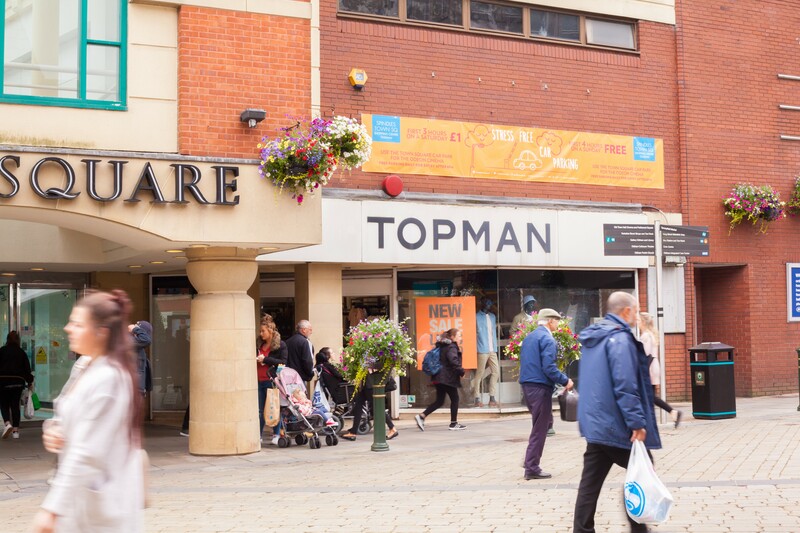 The Town Centre is anchored by Waitrose and the subject property is situated on the western side of Station Road North, close to the junction with High Street. 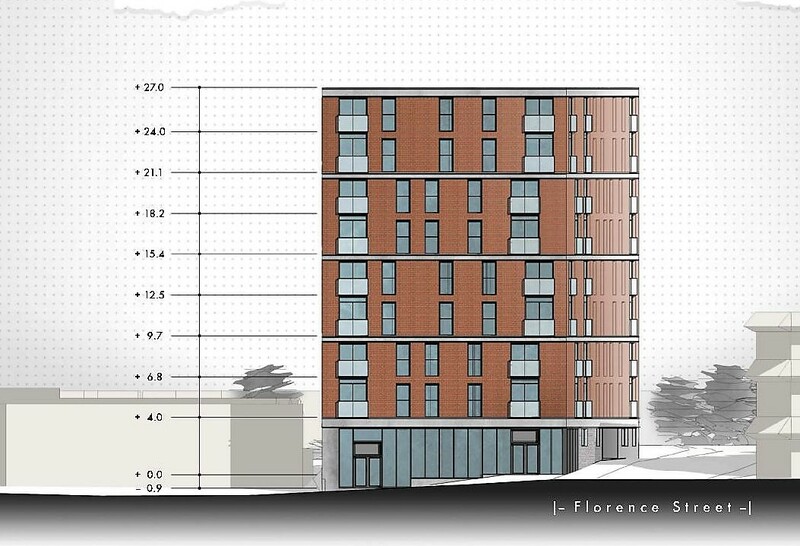 The unit forms part of a residential led development on Dartmouth Road in Forest Hill, with access onto Clyde Terrace. 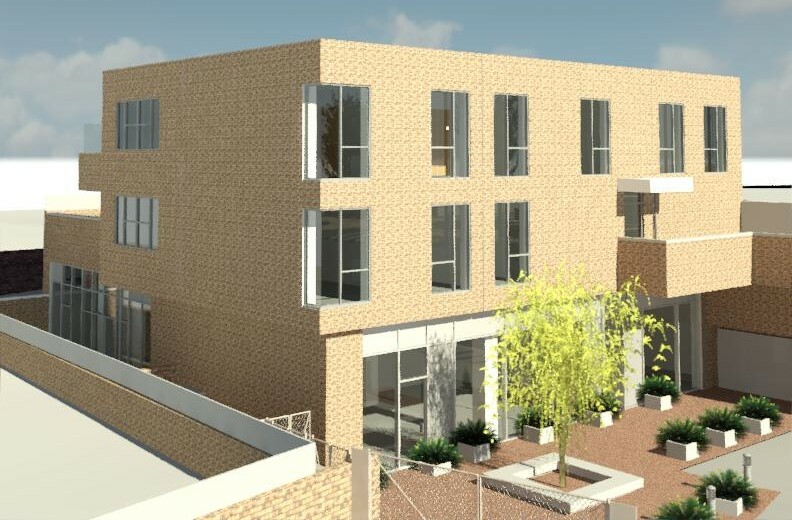 It comprises a self-contained ground floor unit with B1 planning consent, however alternative uses would suit (STPP). 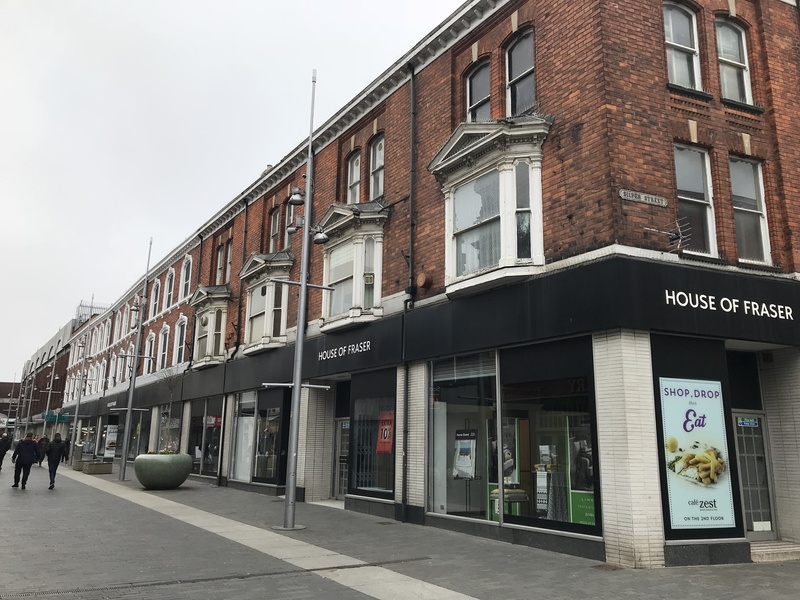 The property is the former House of Fraser Department store in Grimsby town centre with a frontage into Freshney Place Shopping Centre and Victoria Street West. There are various sub-division options and the property is suitable for a variety of uses (subject to planning). 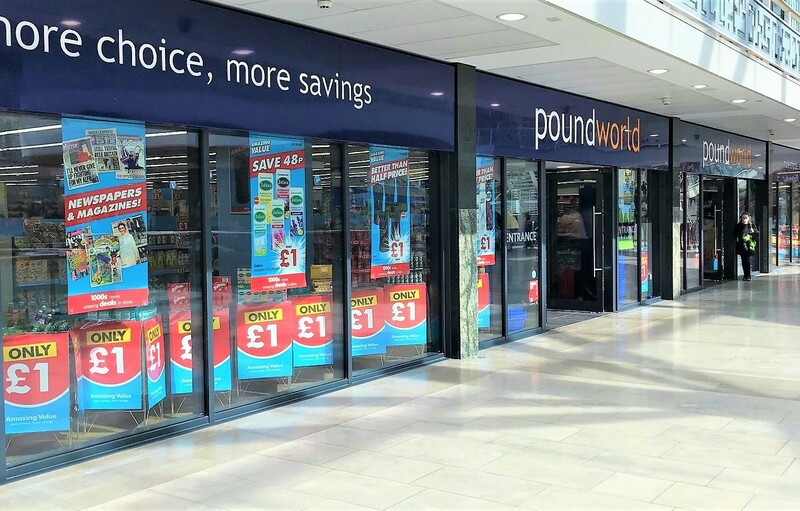 The property sits in a prime location in the heart of Kidderminster town centre, close to EE, Vodafone, O2, Poundland and Vision Express. 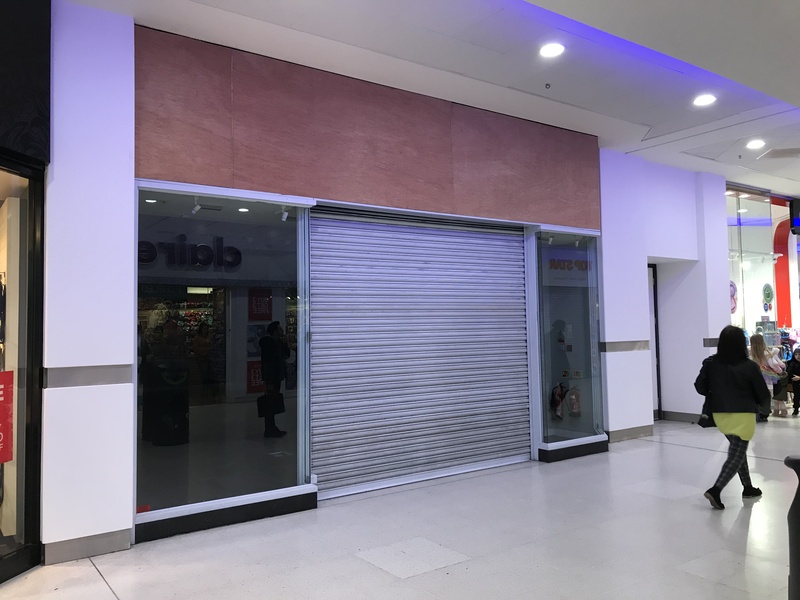 It has an extended frontage onto High Street and a rear entrance into the Rowland Hill Shopping Centre. 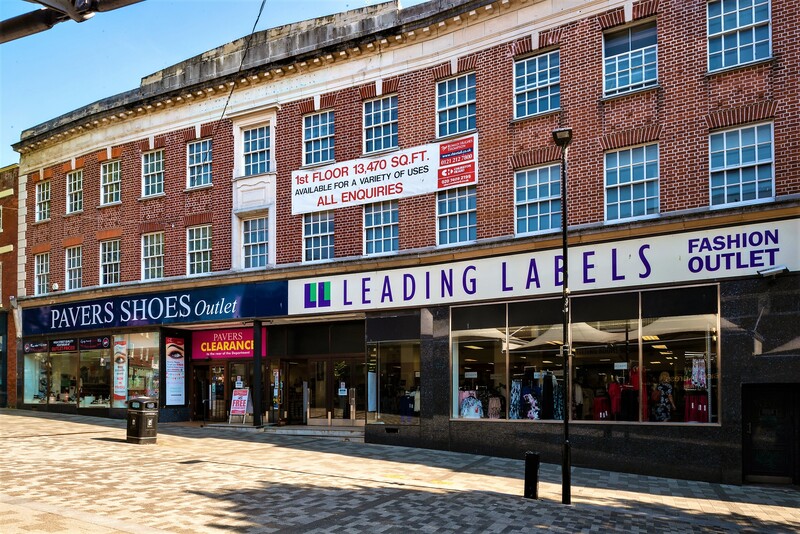 The property is the House of Fraser Department Store on Lincoln High Street. 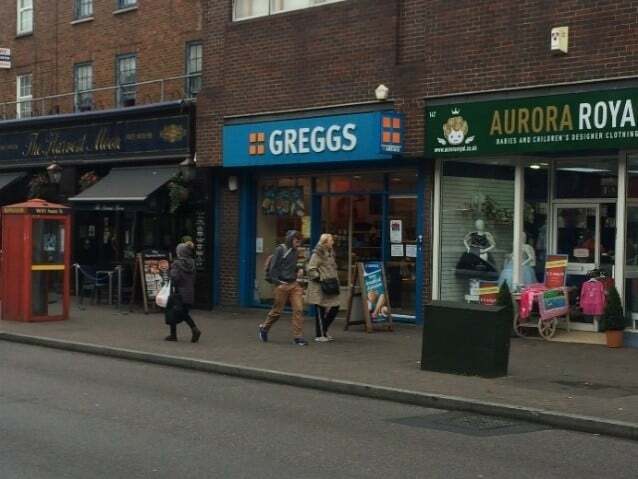 It sits in a prominent location close to White Stuff, Caffe Nero and Joules. 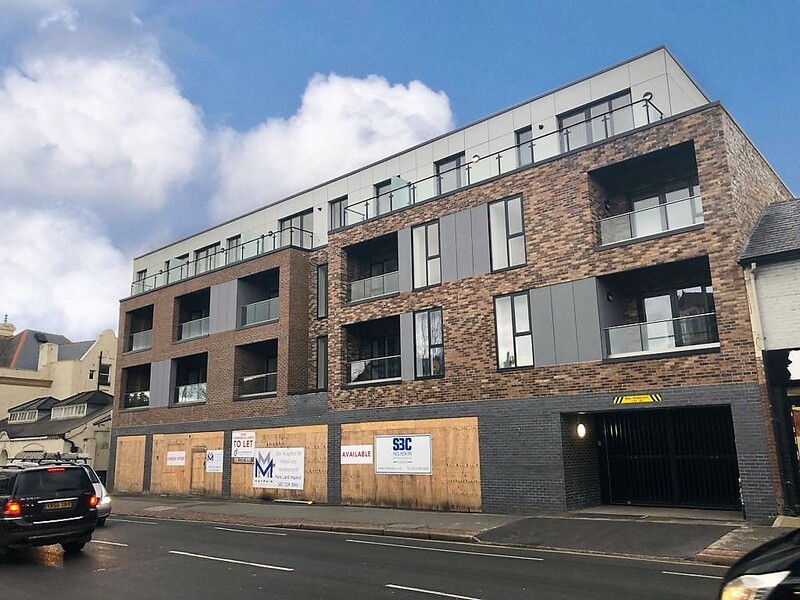 The subject unit, which is currently under construction and anticipated to be completed in February 2019, forms part of a mixed-use scheme on West Hendon Broadway at the corner with Cool Oak Lane. 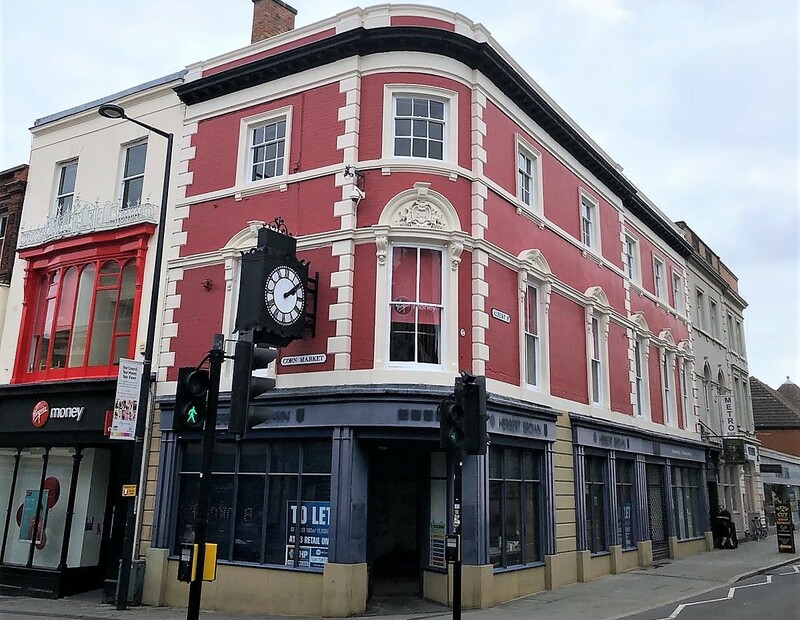 The Property is situated in the town centre of Oldham, within Greater Manchester. Oldham sits approximately 9 miles to the north of Manchester, with direct links to the M60. 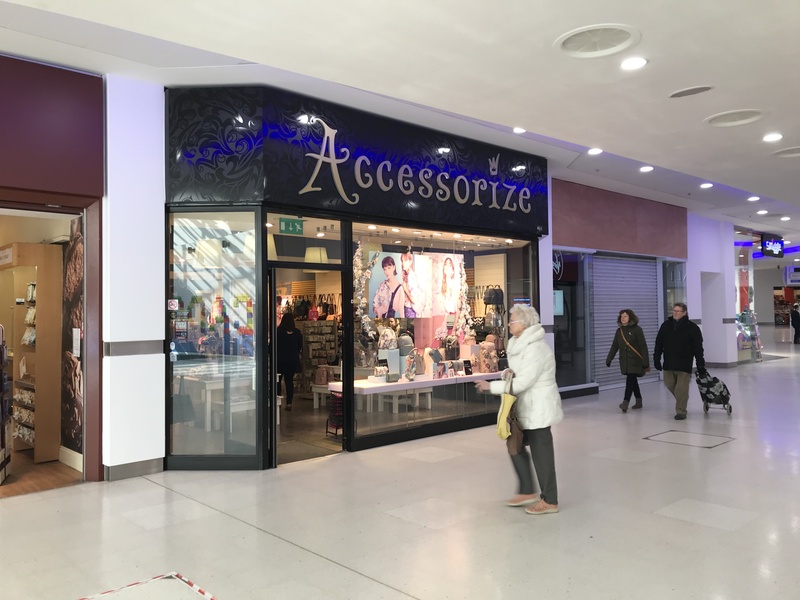 The unit sits in a prominent location within The Walnuts Shopping Centre between Fragrance Shop and the new Kutchenhaus Showroom. 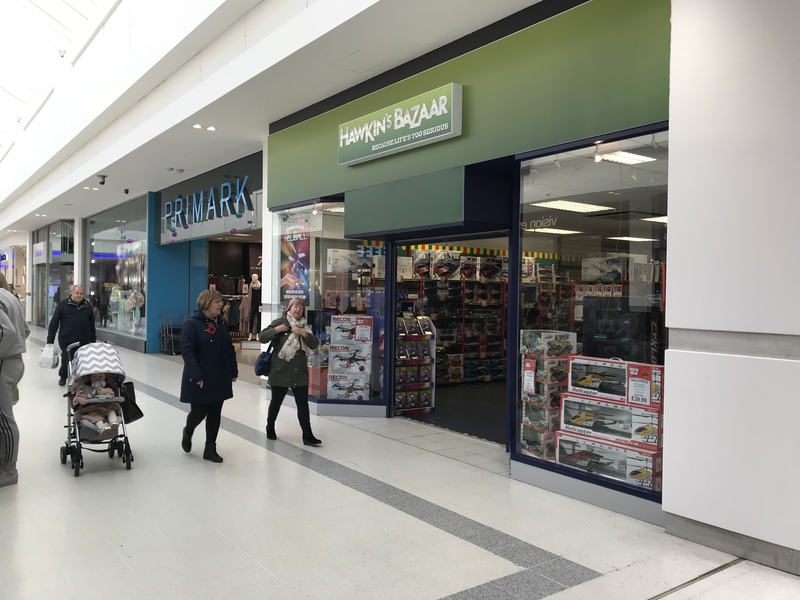 The unit is located within the covered mall, immediately adjacent to Claire’s Accessories and in close proximity to Card Factory, Poundland and The Works. 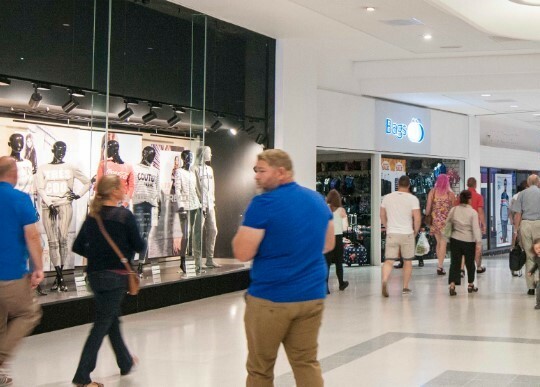 The unit is located within the covered mall, opposite The Works and Card Factory and in close proximity to Kitchenhaus, Julian Charles and Peacocks. 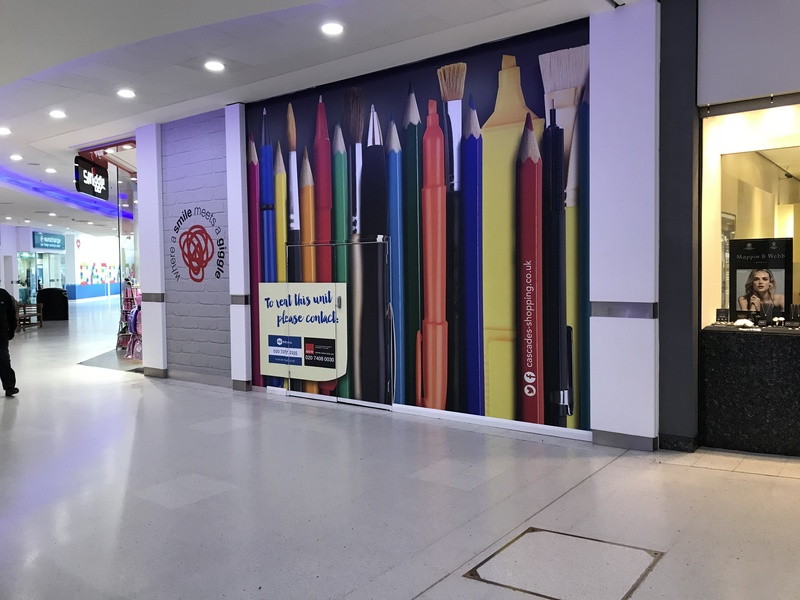 There is also seating available adjacent to the unit which is next to the kids playground and is maintained by the Shopping Centre. 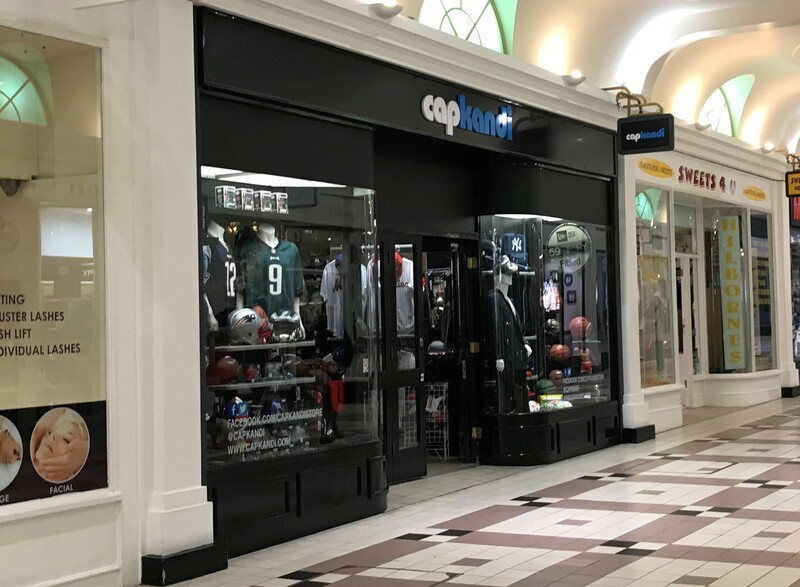 The unit is located within the covered mall, immediately adjacent to M&CO and Nola Hair & Beauty and in close proximity to The Works, F Hinds and Savers. 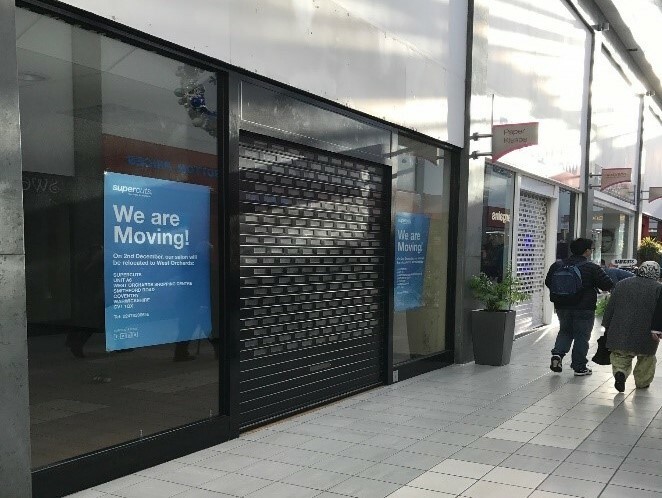 The shopping centre has recently seen the opening of a new 7 screen Odeon as well as Nando’s, Bella Italia, Creams, Yours, Trespass, Cards Direct and Julian Charles. 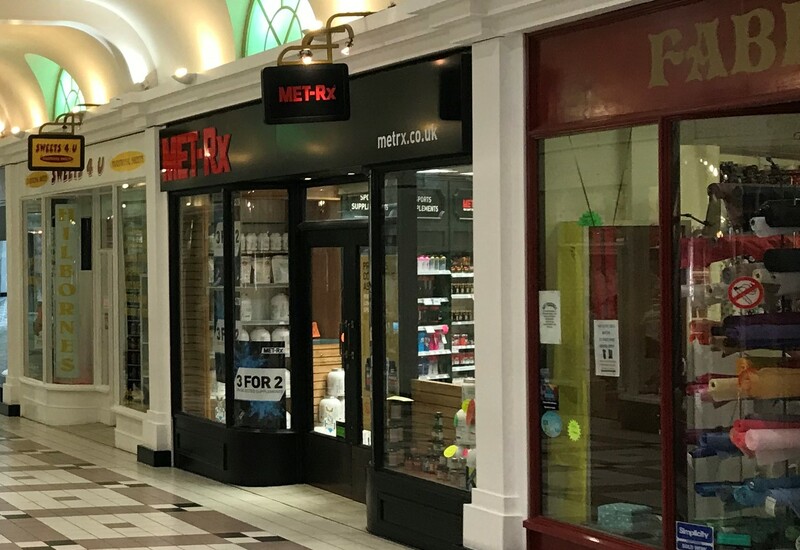 The subject unit benefits from A1 use and is located in close proximity to Peacocks, Wetherspoons and Subway at the entrance of the scheme. 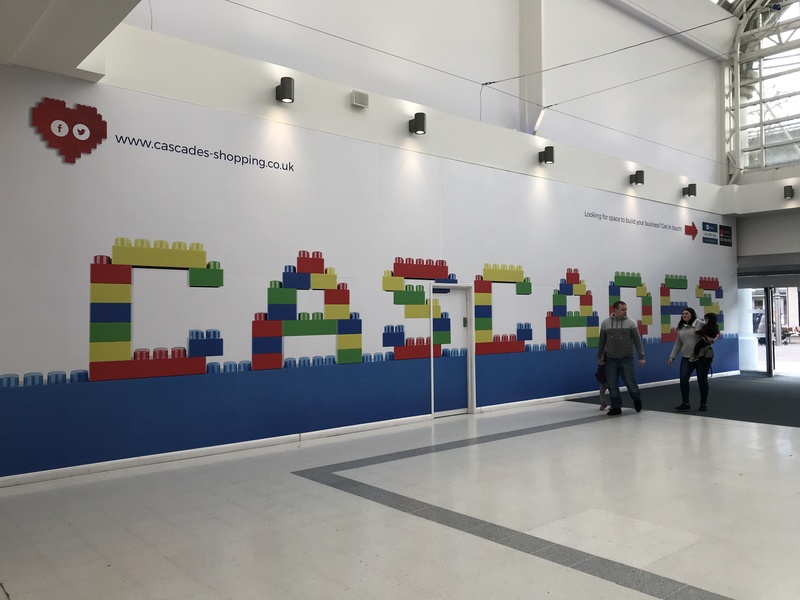 The Cascades Shopping Centre in the only covered mall in Portsmouth boasting a tenant line-up including Primark, H&M, Next and TK Maxx as well as a host of other national multiple retailers. 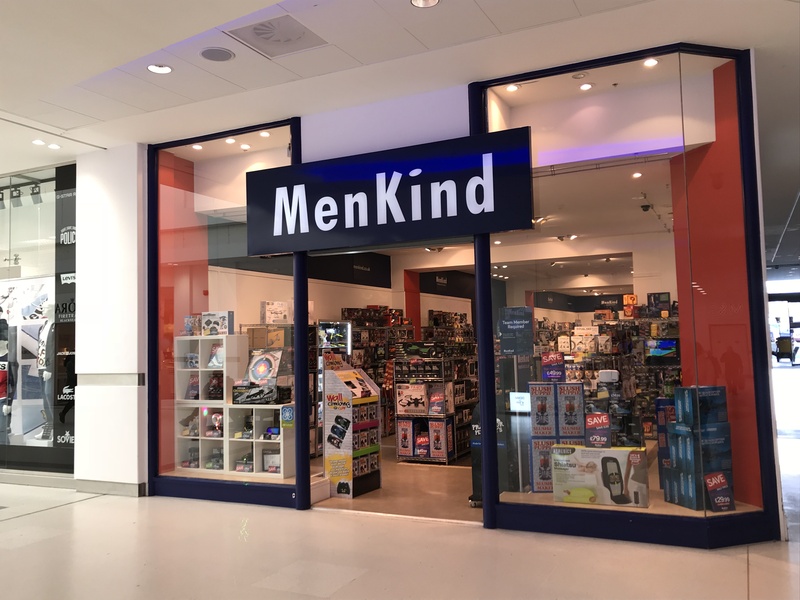 The shop is currently occupied by Menkind and is in a prime position boasting an extensive return frontage facing Lush, adjacent to USC and opposite H&M and Pandora. 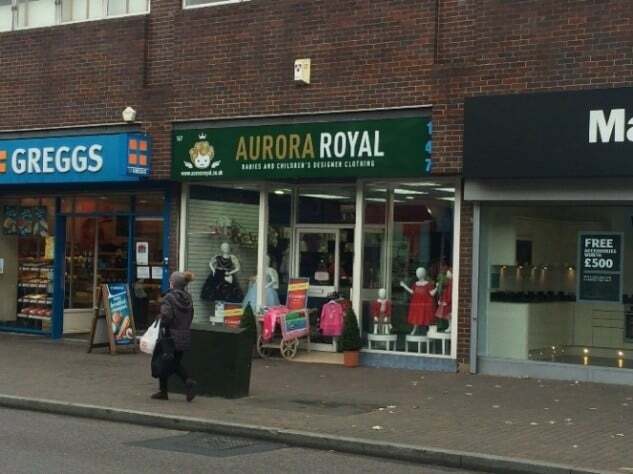 Other nearby retailers include Primark, Body Shop, Starbucks and Quiz. 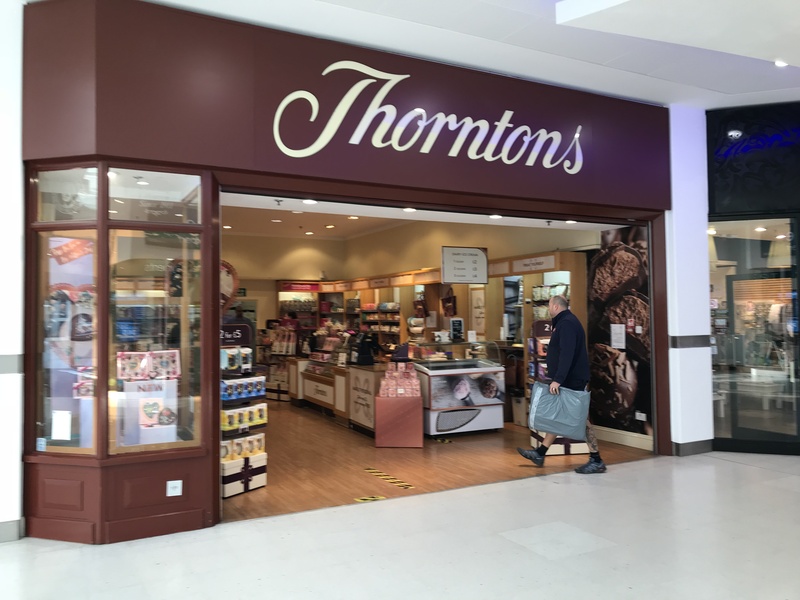 The subject unit is currently occupied by Thorntons and is situated close to the main entrance to the Shopping Centre from Commercial Road, adjacent to Ernest Jones and Accessorize. 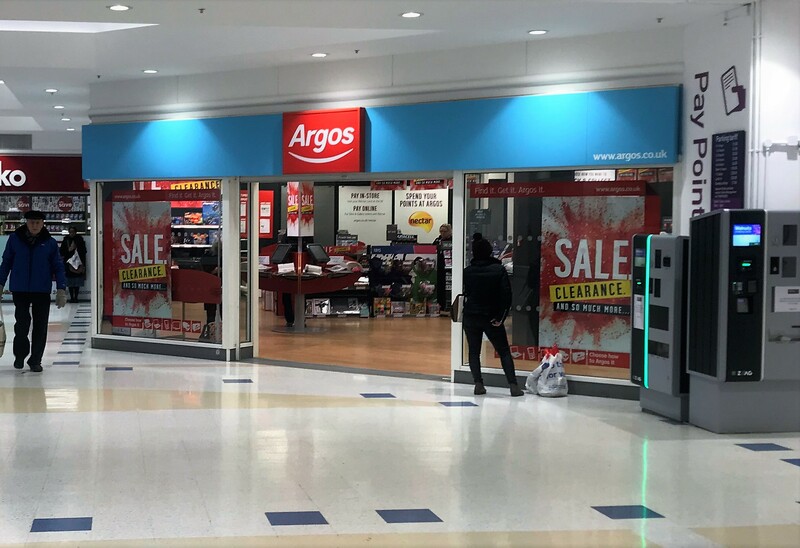 Other retailers close by include Smiggle, Pandora, Virgin Media and Claire’s Accessories. 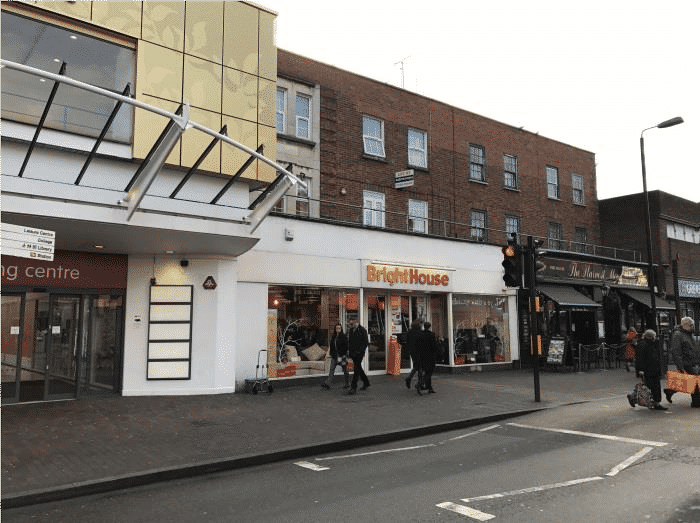 The shop is located close to the Commercial Road entrance adjacent to Thorntons and close to Smiggle. Other nearby occupiers include Lush, Goldsmiths, Body Shop, Pandora and Quiz. 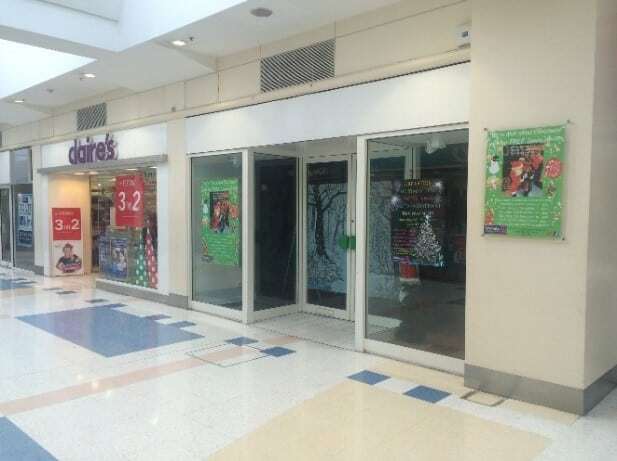 The shop is located close to the Commercial Road entrance adjacent to Accessorize and Smiggle. Other nearby occupiers include Goldsmiths, Lush, Pandora, Body Shop and Quiz. 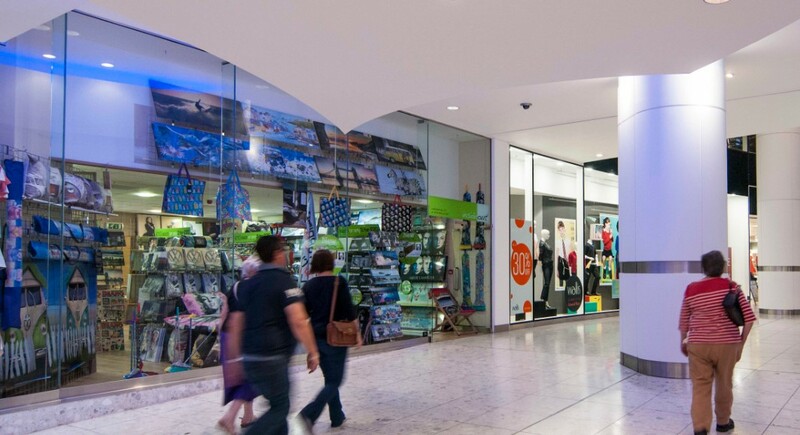 The shop is located on the prime pitch of the Cascades between Primark and Warren James. Other nearby occupiers include Next, TK Maxx, Starbucks, Quiz, Pandora and New Look Men. 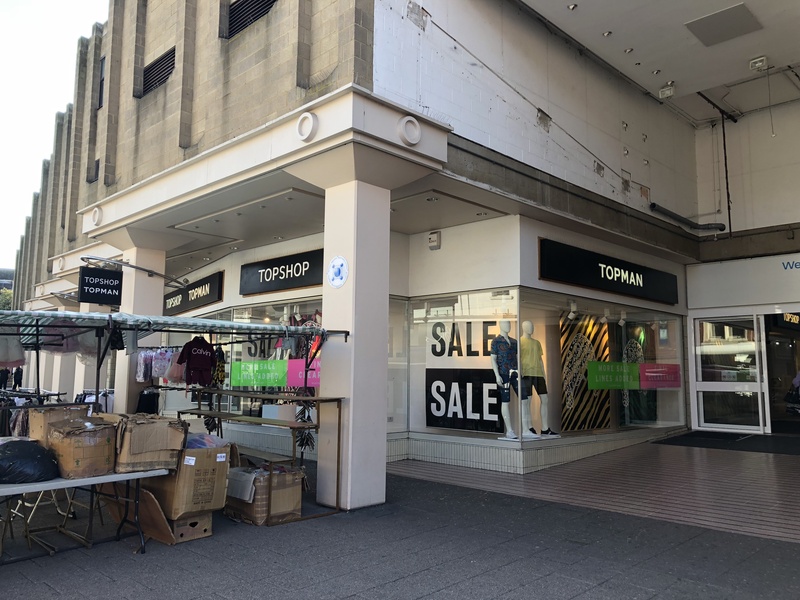 The shop is located between Warren James and the entrance to Primark with Starbucks, Next and one of the main entrances to The Cascades from Charlotte Street Car Park opposite. 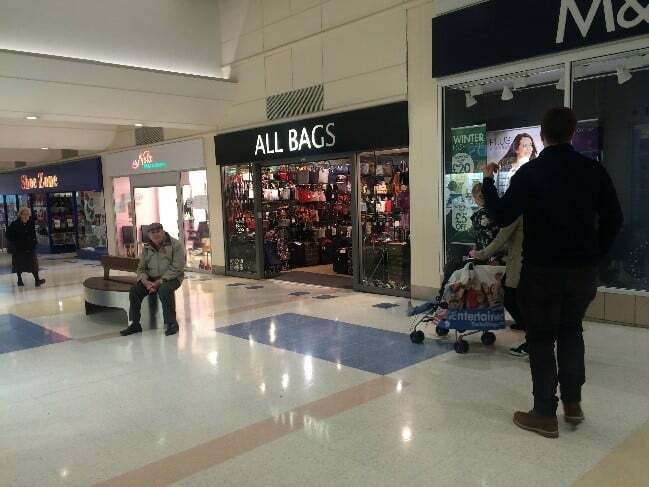 Other nearby occupiers include Trespass, TK Maxx, Pandora and Quiz. The shop is located on Spring Lane opposite Boswells Cafe and next to Primark. Other nearby occupiers include TK Maxx, Starbucks and Quiz. 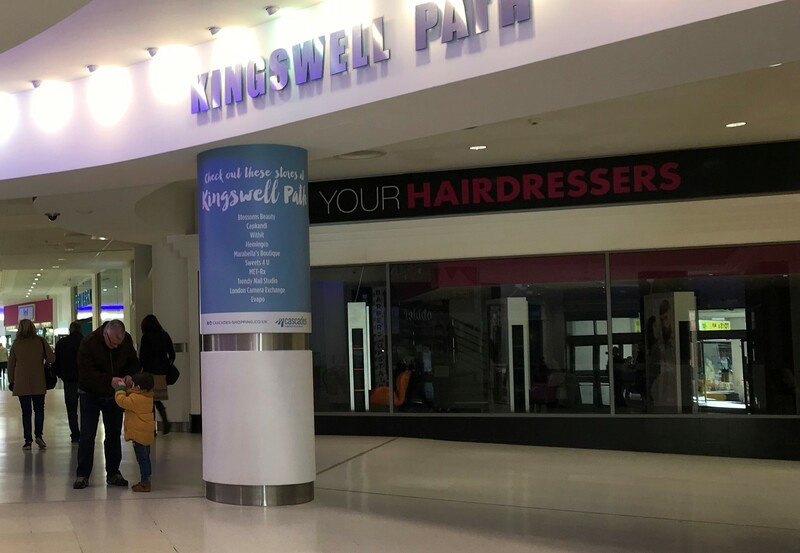 The shop is located on Kingswell Path adjacent to Footasylum and in a busy parade of small shops before the likes of Next, TK Maxx and Primark. Other nearby retailers include Starbucks, Quiz and Warren James. 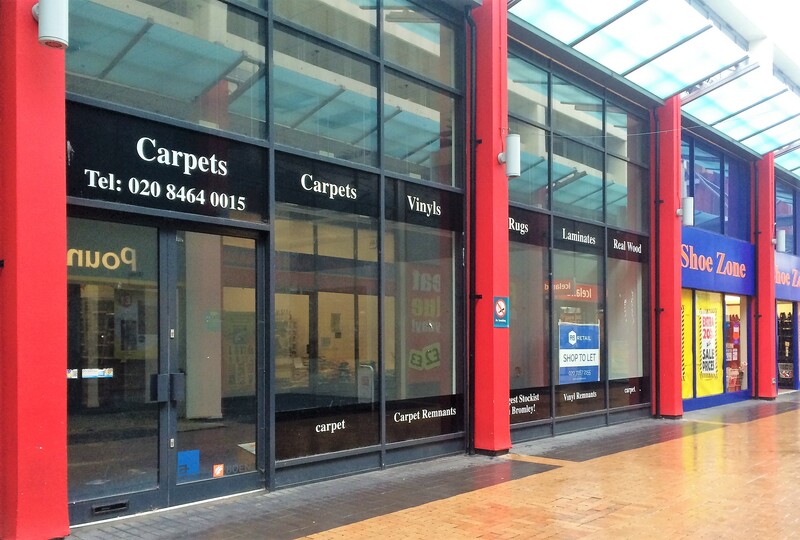 The shop is located on Kingswell Path close to Footasylum and the entrance to Commercial Road. Other nearby occupiers include Next, TK Maxx, Boswells and Waterstones. The subject unit is well positioned on Kingswell Path adjacent to Blossom Beauty and opposite London Camera Exchange. 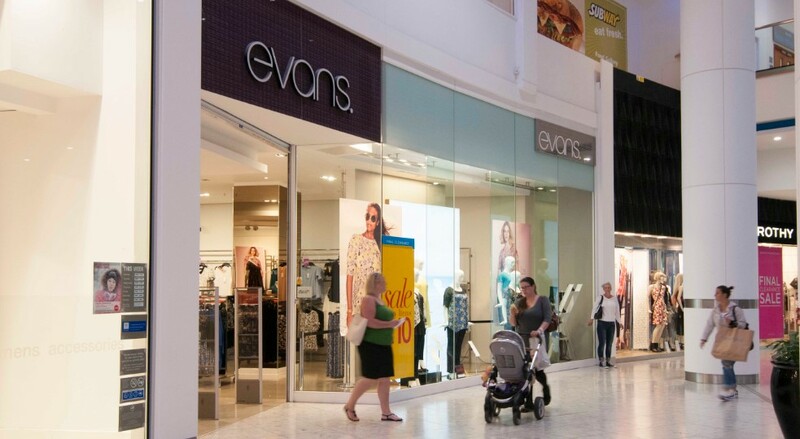 Other retailers close by include Footasylum and Evapo. The subject unit is well positioned on Kingswell Path adjacent to Fabric Land and opposite Hemmingway Menswear. 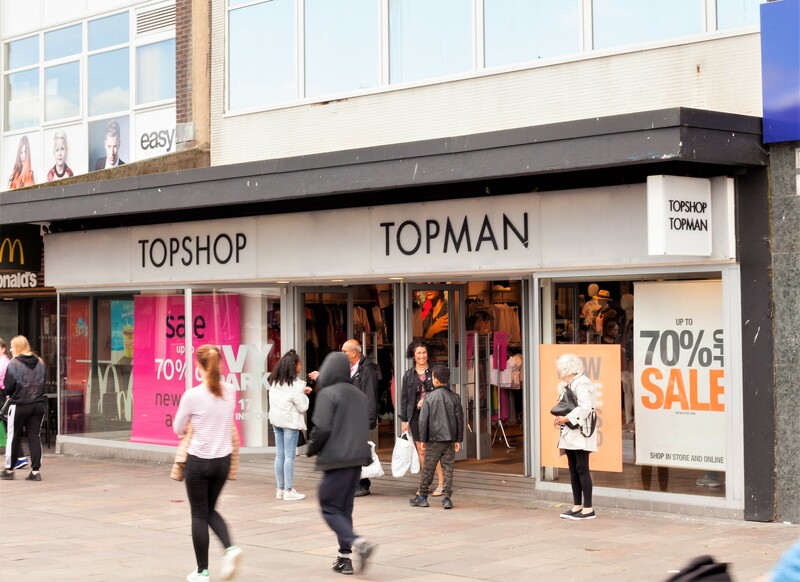 Other retailers close by include Footasylum, and London Camera Exchange. 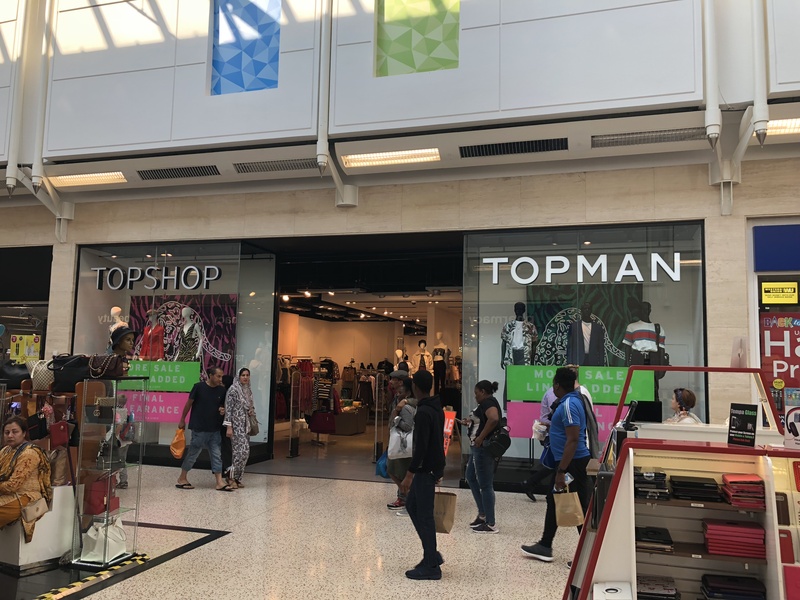 The subject unit is situated close to the main entrance to the Shopping Centre from Commercial Road, adjacent to Claire’s Accessories and opposite Accessorize. 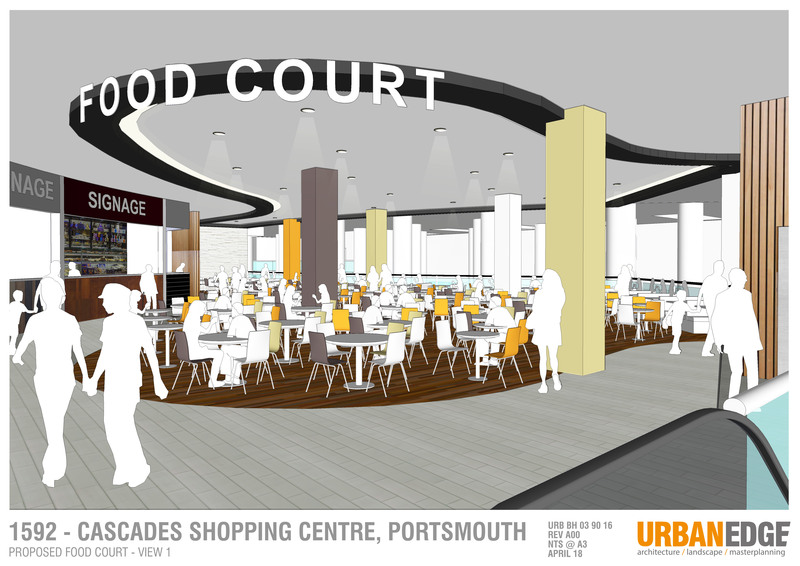 The kiosks are situated in an extremely prominent corner position at the entrance to The Cascades Shopping Centre, the predominant shopping centre in Portsmouth City Centre, anchored by Primark, H&M, M&S and Next. 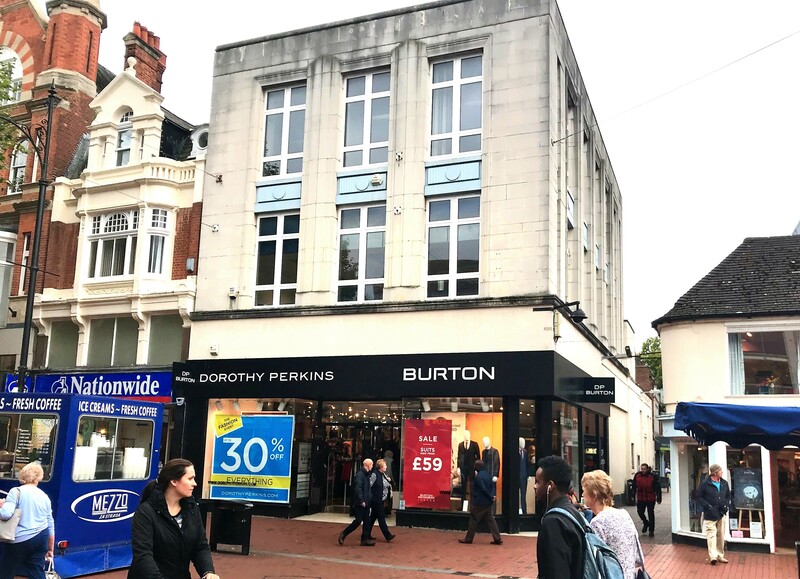 The shop is located prime position boasting an extensive frontage between Next, Dorothy Perkins and TK Maxx. 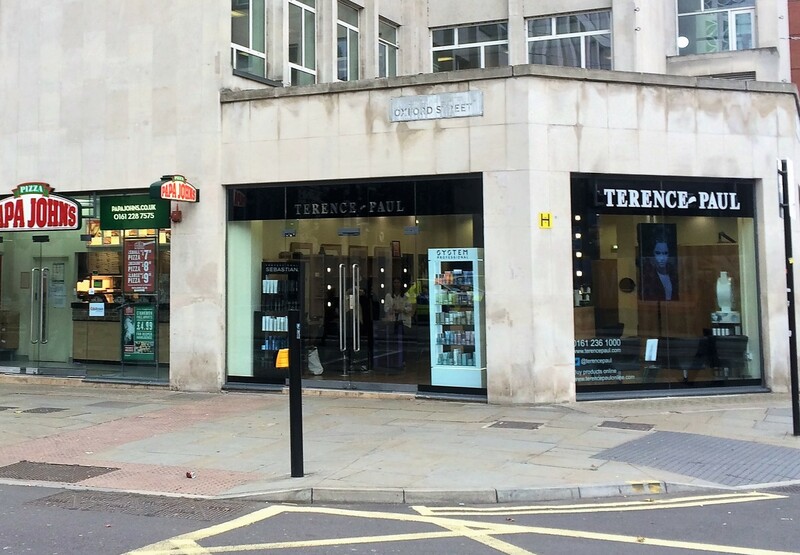 Other nearby retailers include Lush, Pandora, Body Shop, Goldsmiths and New Look Men. 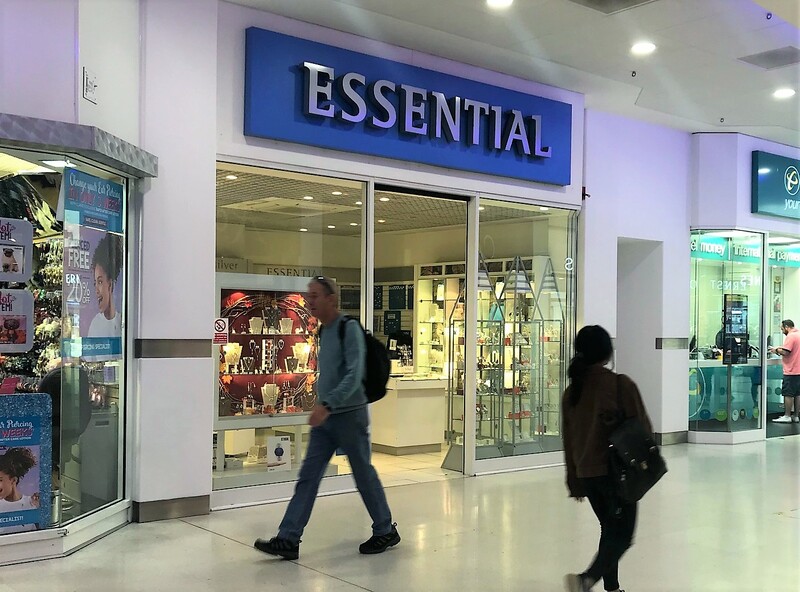 The shop is a former BHS and is in a prime position adjacent to TK Maxx, close to Next, Primark, Dorothy Perkins and opposite Boswell’s Cafe. 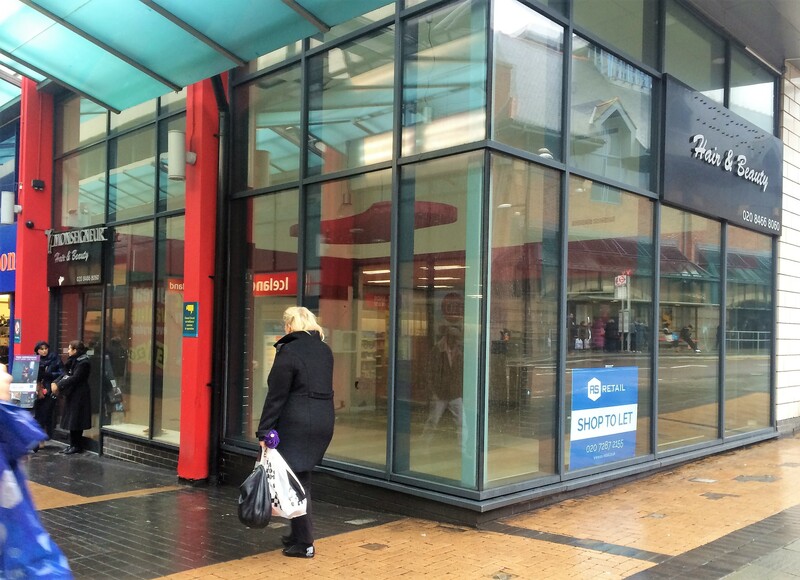 Other nearby retailers include New Look Menswear, Pandora, Vision Express and Lush. 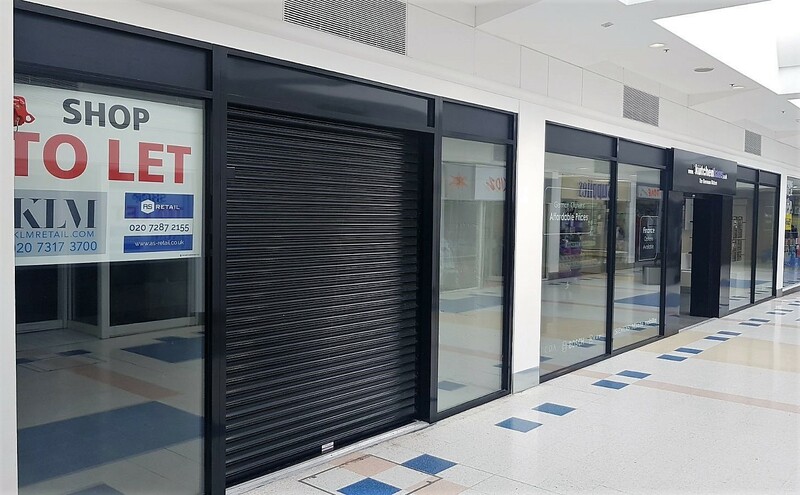 The shop is located prime position boasting an extensive return frontage facing Boswell’s Café and close to TK Maxx and Next. 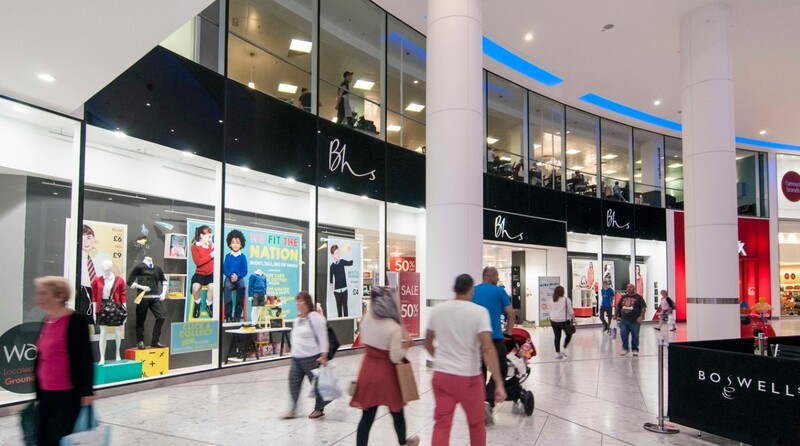 Other nearby retailers include Body Shop, Dorothy Perkins and Starbucks. 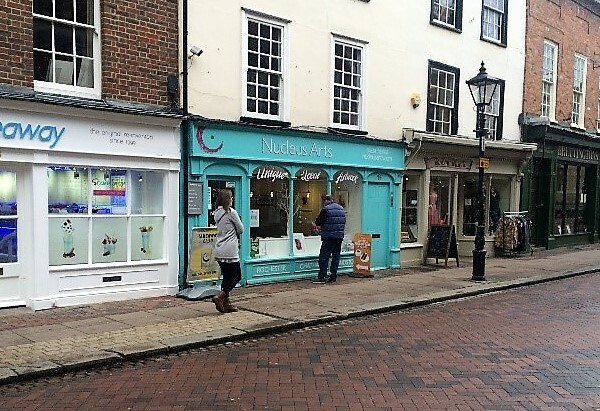 The unit sits in a 100% prime location on Rochester High Street close to Costa Coffee, Lloyds Bank and Shakeaway, as well as a host of local and regional independent retailers and caterers. 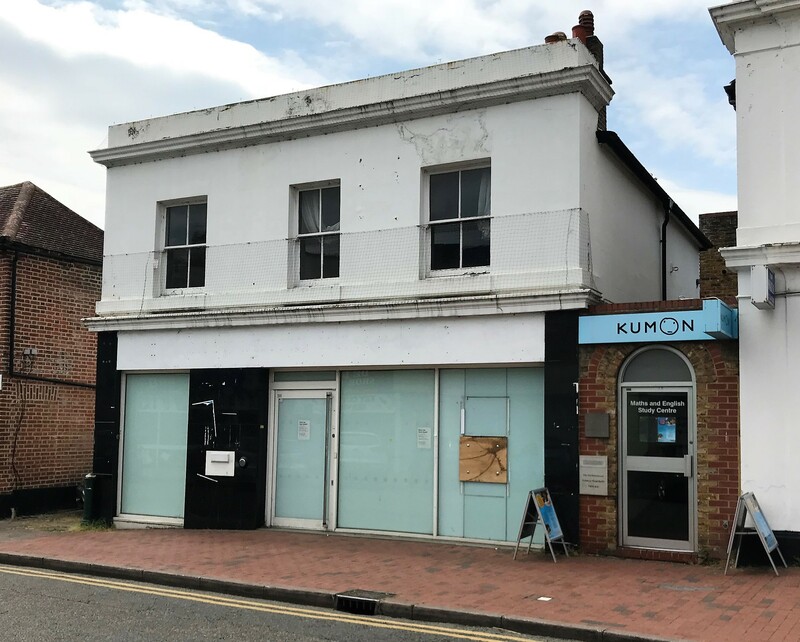 This unit forms part of a major new residential development close to the junction of Brighton Road and Sanderstead Road in South Croydon. It will be ready for handover in early 2019. The newly constructed subject unit is part of a redevelopment, that accommodates 37 residential flats.